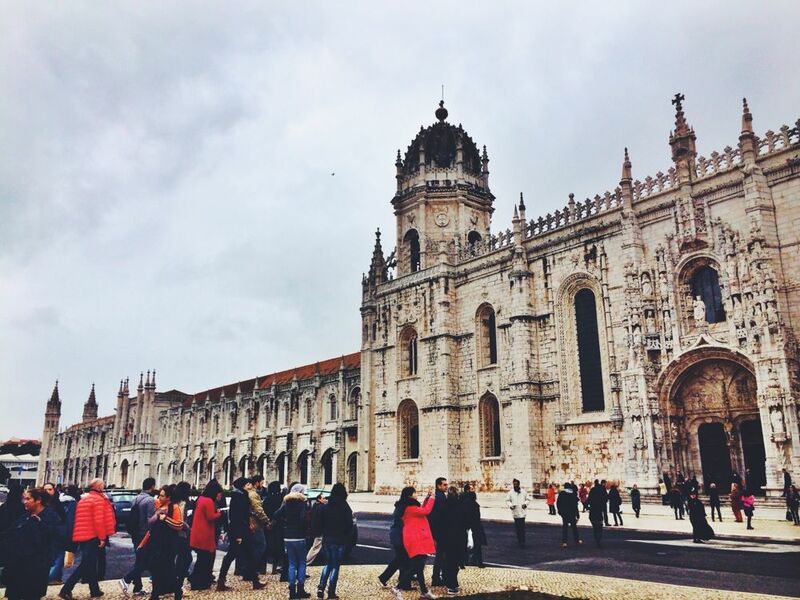 The Belem neighborhood – located about fifteen minutes from downtown via tram – was one of the highlights of my time in Lisbon. 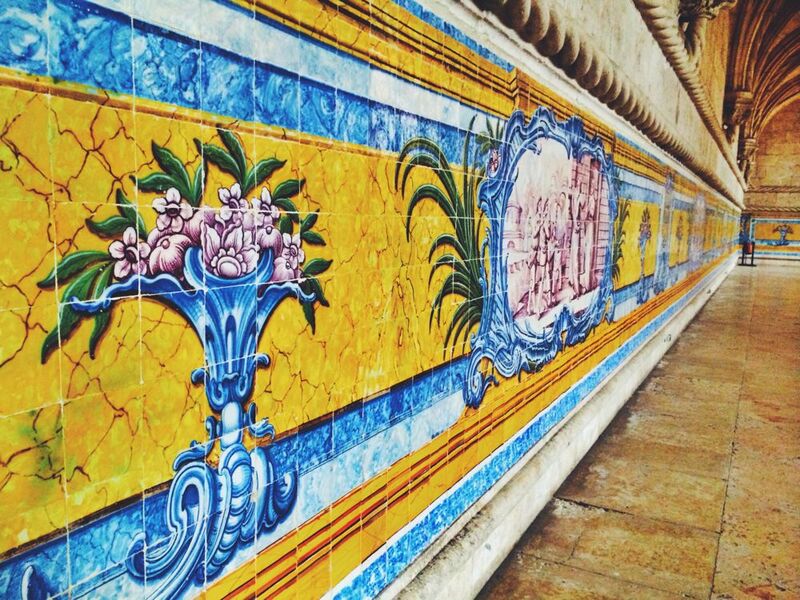 And though it isn’t centrally located, Belem offers more than enough sights to make the journey worth it. 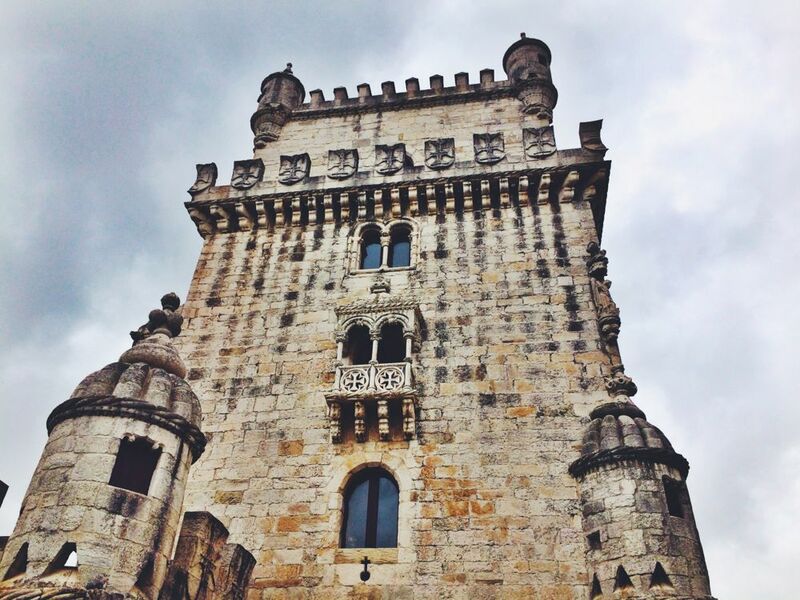 In fact, while I came to the neighborhood driven by a desire to see the Torre de Belem and snack on the famous pasteis de Belem, I was pleasantly surprised to discover that those weren’t even my favorite parts of the area (though they were still wonderful). 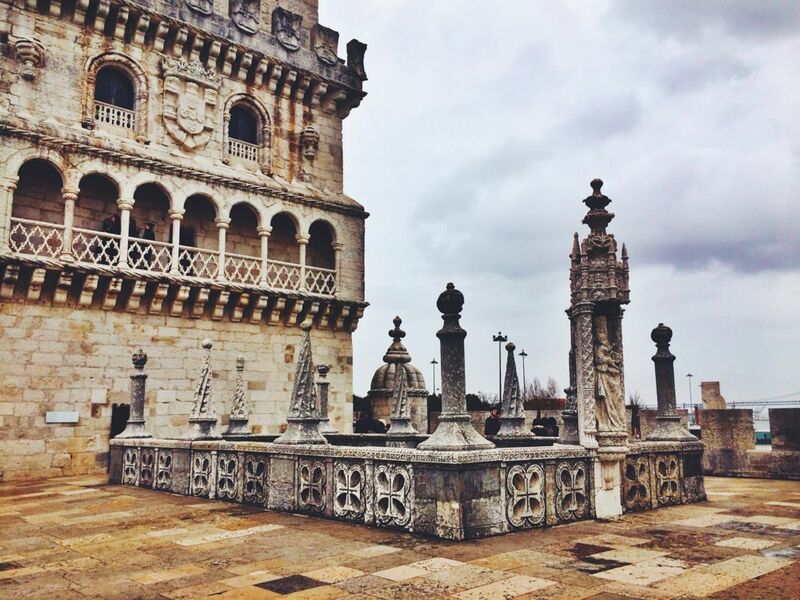 There were more highlights than I anticipated in Belem – here are a few of them. 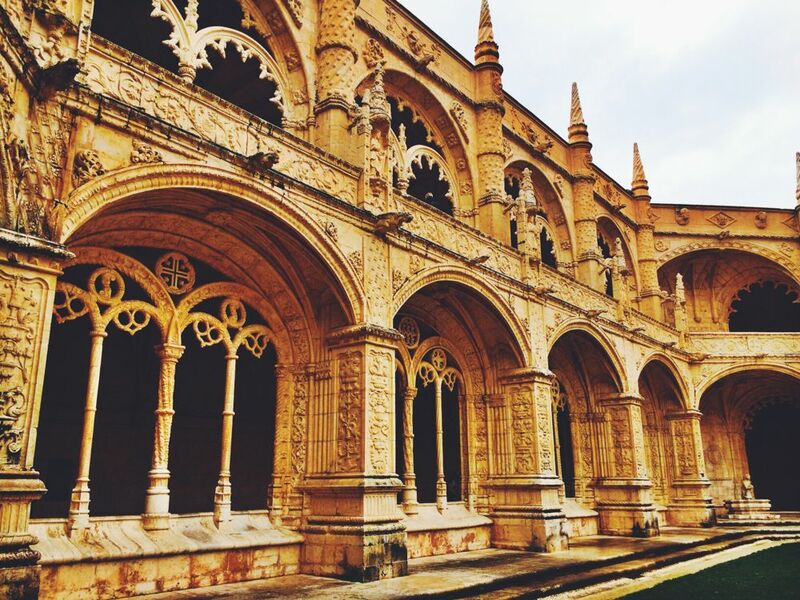 Upon arrival in Belem, you won’t be able to miss the Jeronimos Monastery – the large, stark white church dominates the area. 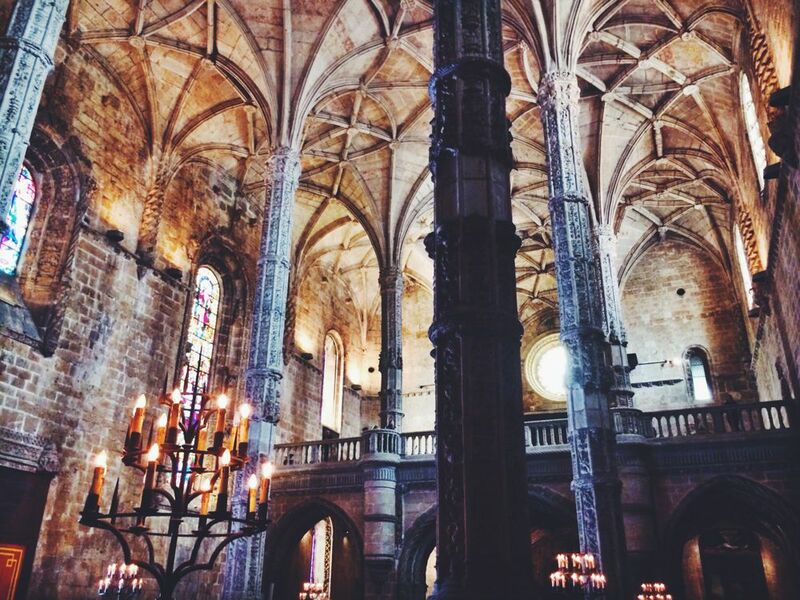 While most of the monastery’s interior was fairly standard-issue, I was impressed by the tall, expansive vaulted ceilings. 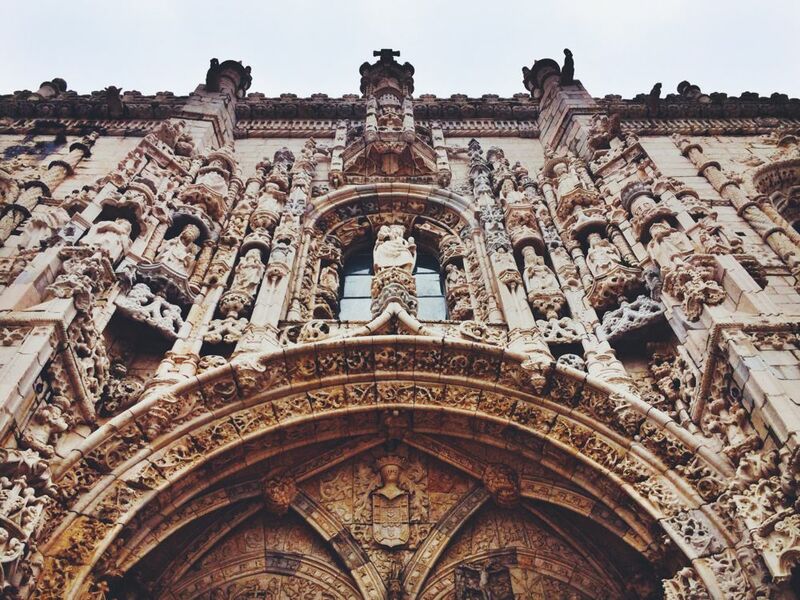 Standing under them, you definitely feel small – and filled with awe. 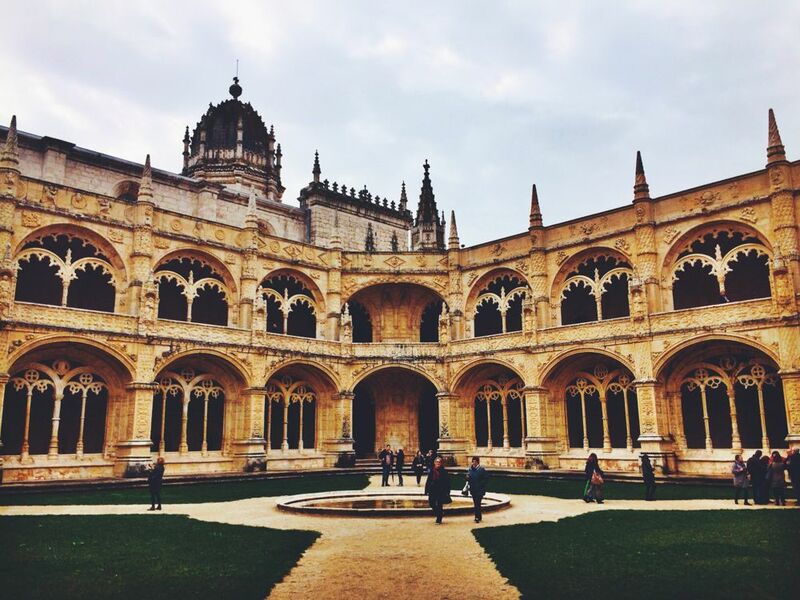 If the Jeronimos Monastery itself was “just okay” as far as sightseeing goes, its adjoining cloisters more than made up for it. 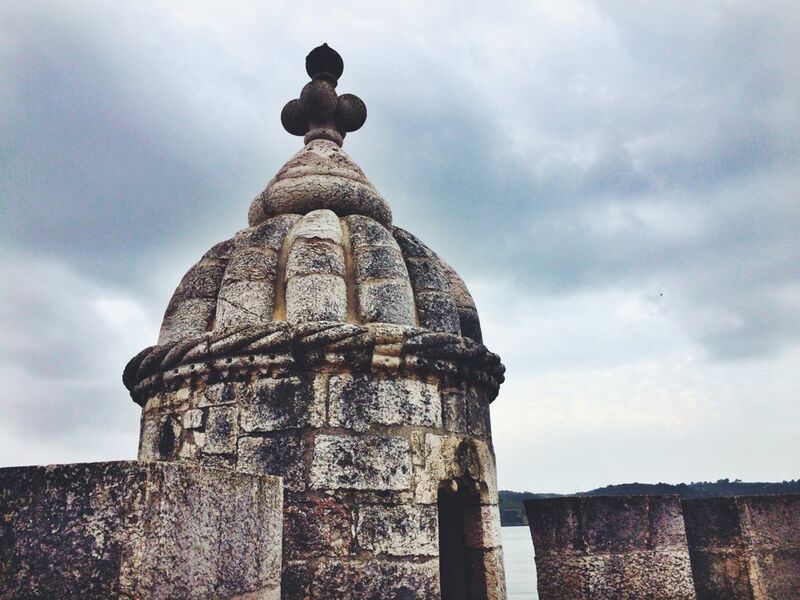 They were serene, gorgeous, and impressive – and they just so happened to be the highlight of my time in Belem. 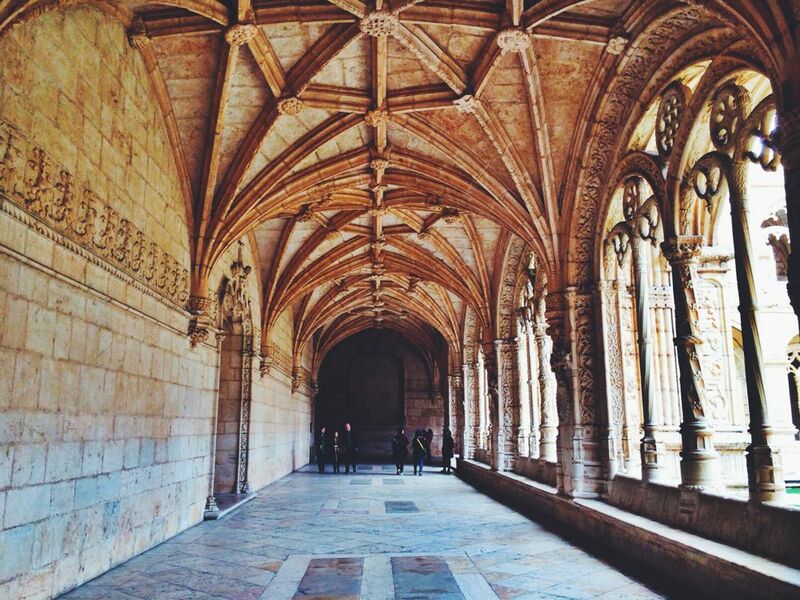 I could not get enough of the archways and columns of the cloisters, and I wandered around the courtyard for quite some time, happily snapping away. 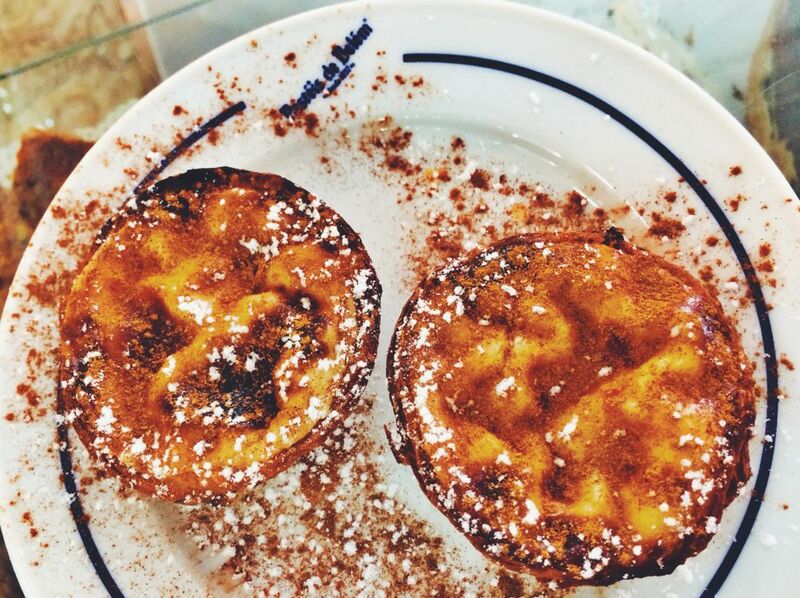 In the rest of Lisbon, custard tarts go by the name pastel de nata; in Belem, they’re pastel de Belem, and you find the best ones here, at Pasteis de Belem. The recipe is said to be top secret, and for good reason: these bad boys are delicious. 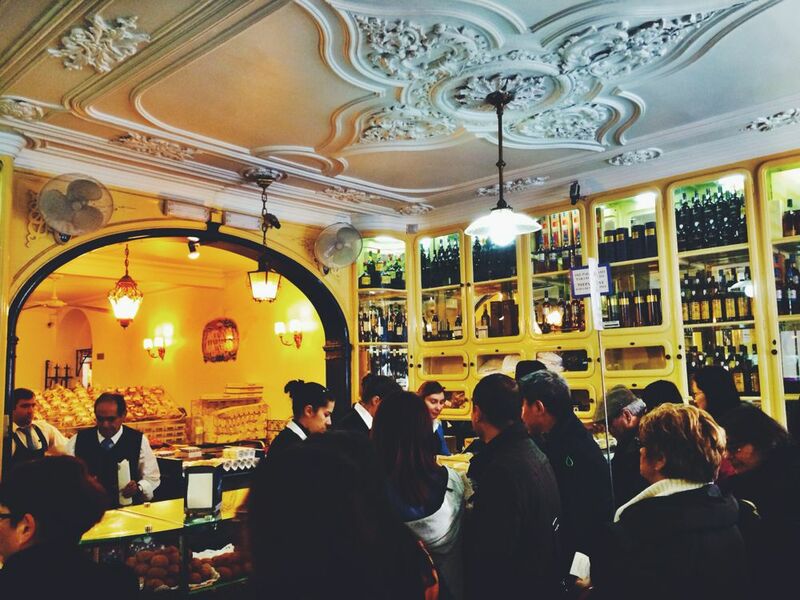 Because of that, Pasteis de Belem can get crowded; I was lucky enough to wander in just before the rush and so was able to snag a prime spot at the counter for enjoying my cappuccino and pastries. 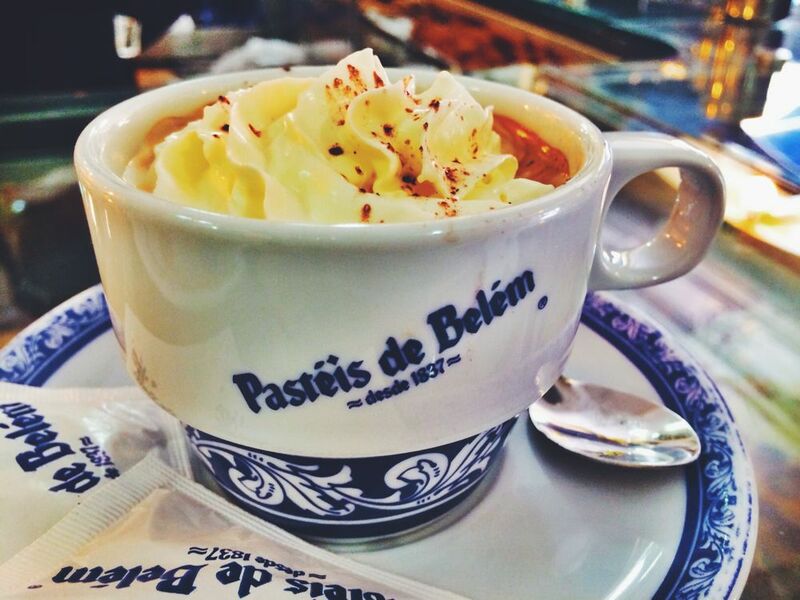 Minutes after I arrived, a huge crowd descended on the place, so if you want to try pastel de Belem – and believe me, you do – my advice is to go early. Just across from the monastery, you’ll find a lovely garden and park area. My advice? The garden would make an excellent spot for a cheap take-away lunch. 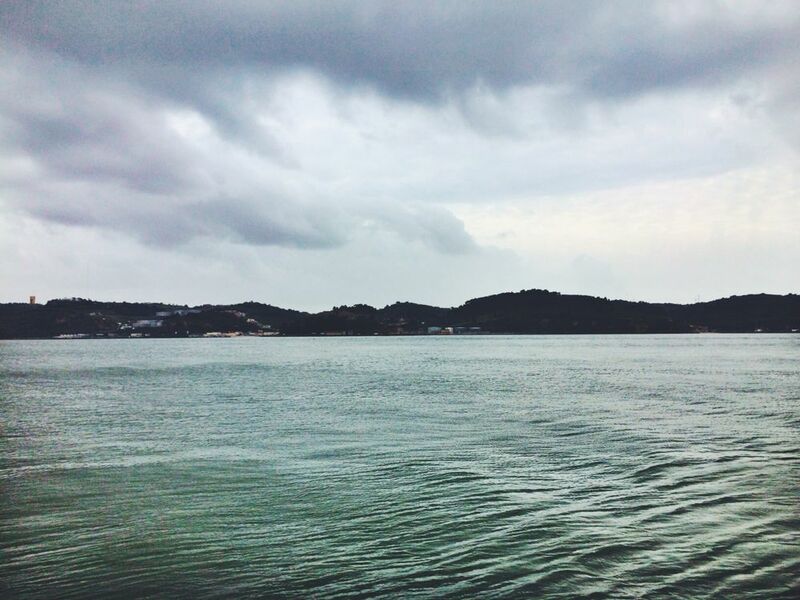 I say “would” because I didn’t actually take my own advice, but you should – it’s a really nice spot. Even if you don’t picnic there, definitely take the time to wander through the gardens, which are beautiful. 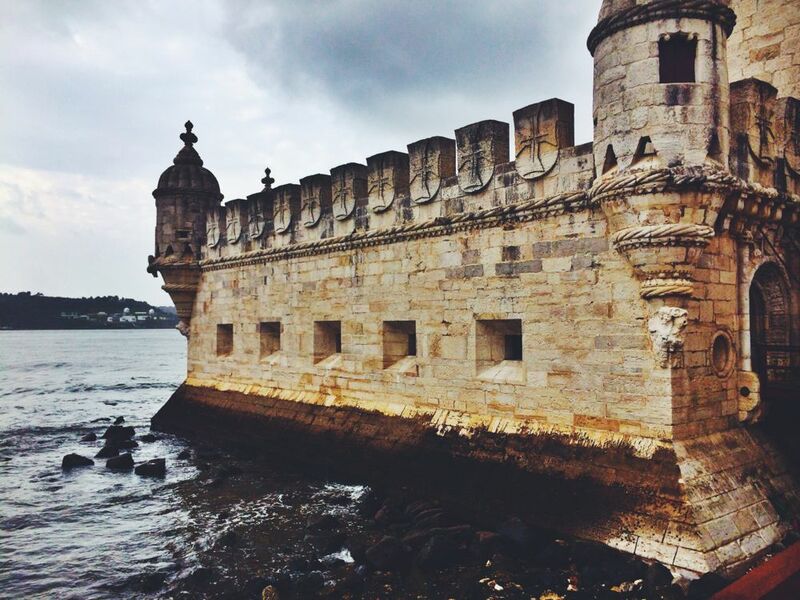 The Torre de Belem looked like something out of a storybook to me. 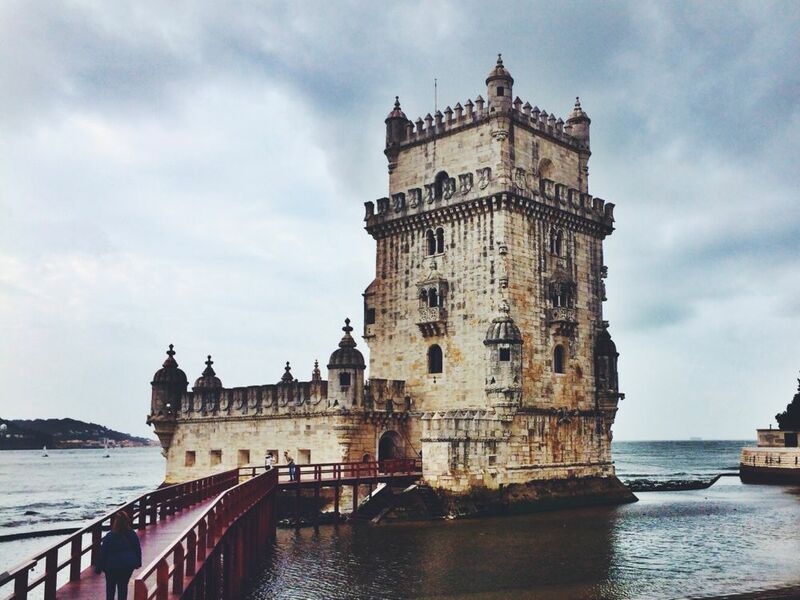 Particularly on the day I visited, when the skies were grey and cloudy, the tower was stark and imposing against the stormy backdrop; the bridge I had to cross to get to the tower only added to the fairytale atmosphere. 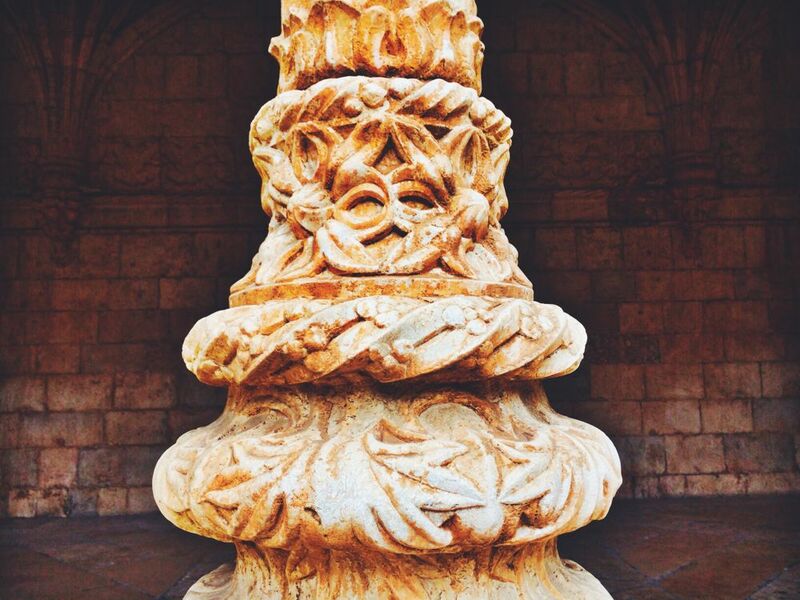 While there wasn’t much to see inside the tower, the visit was worth it just to see the gorgeous exterior up close. 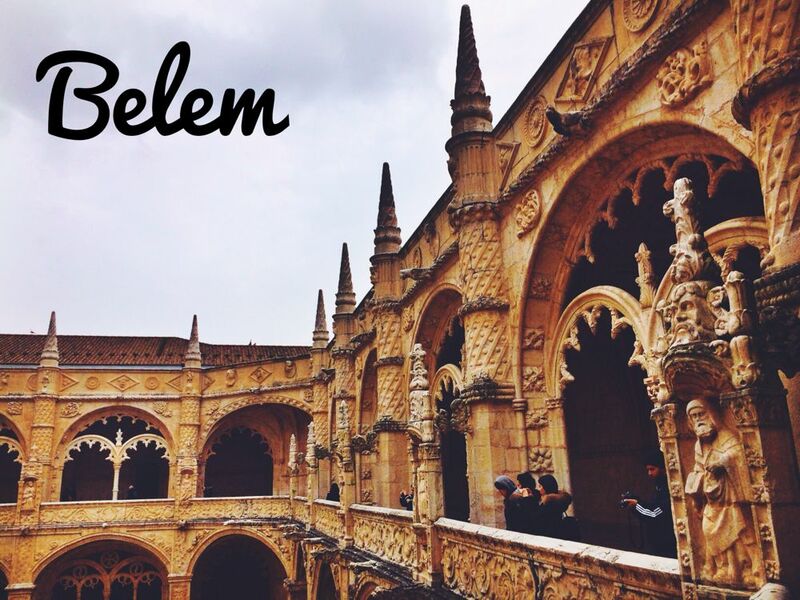 As you can no doubt see from the length of this post, I found a lot to love about Belem. 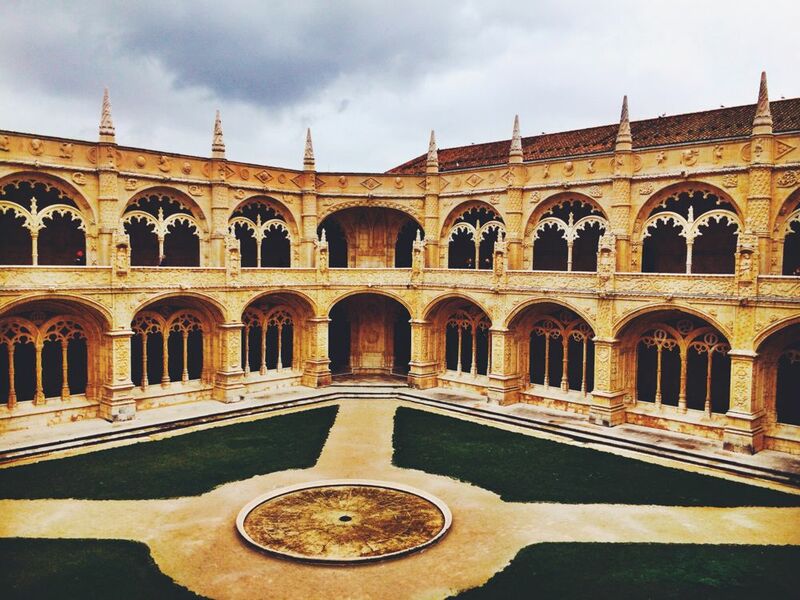 If you’re visiting Lisbon, I recommend allocating at least a half day to exploring the area – and to eating as much pastel de Belem as you can, naturally. 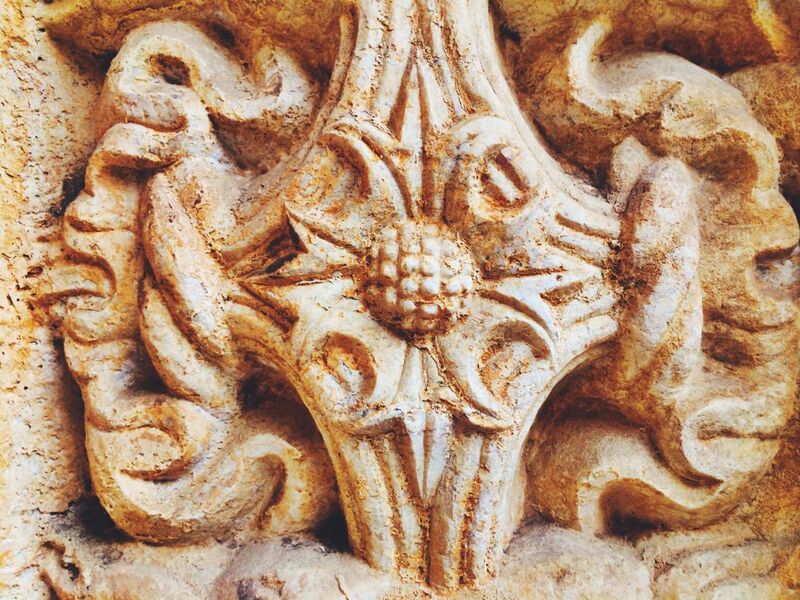 These photos are absolutely stunning! 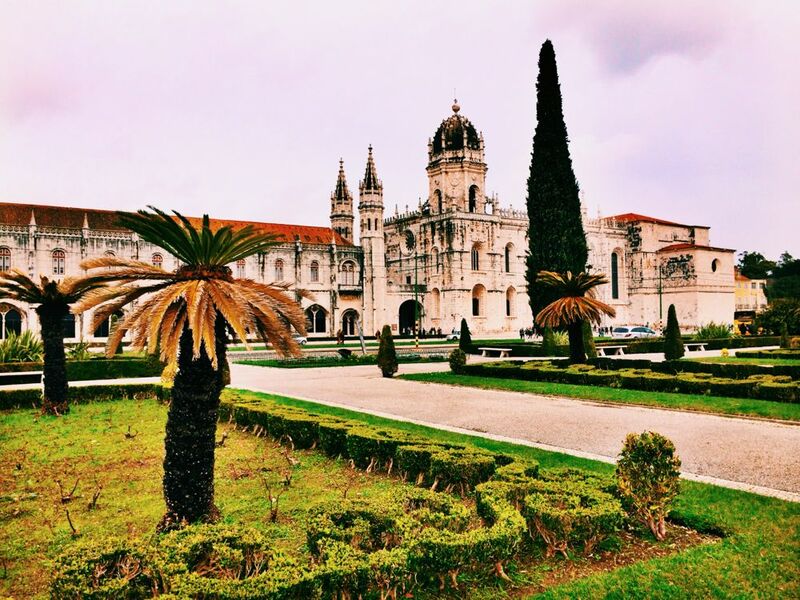 They make me so nostalgic for Portugal 🙂 When I visited Lisbon I only got to spend a few hours in Belem, which was barely enough time to explore the monastery and stuff my face with as many pasteis de Belem as humanly possible. 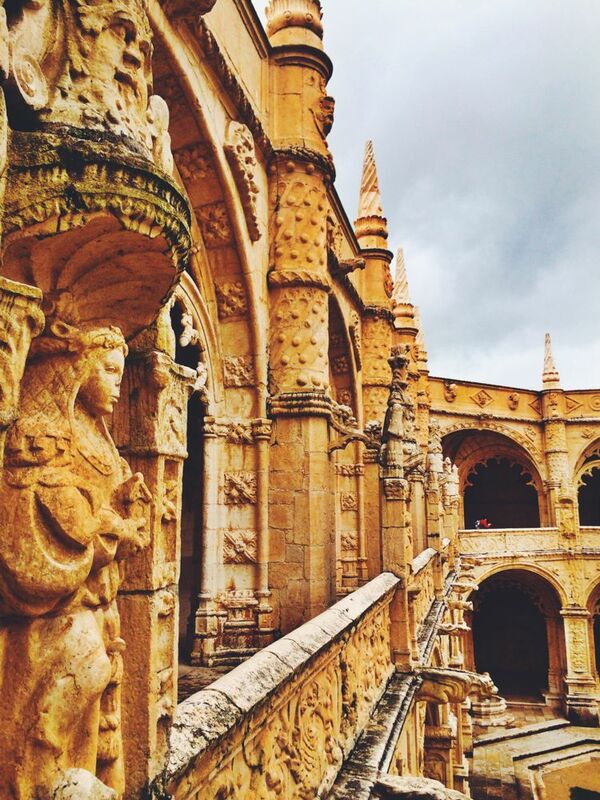 I’m glad I did, though, because Belem is such as magical place! 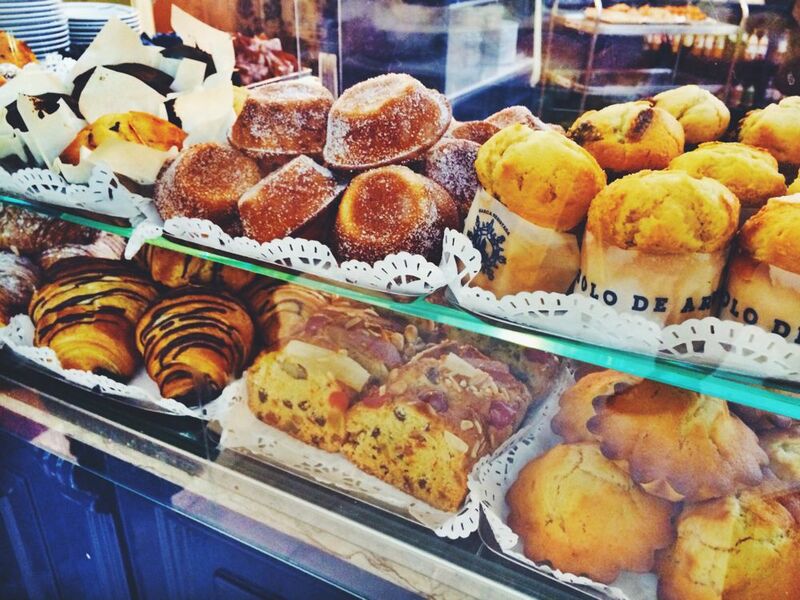 Pasteis de Belem was too crowded to enjoy our pastries inside, so we took them to a nearby park and savored them in the warm sunshine. Next time I go, I’d love to see the Torre! I agree with you, it’s definitely magical. 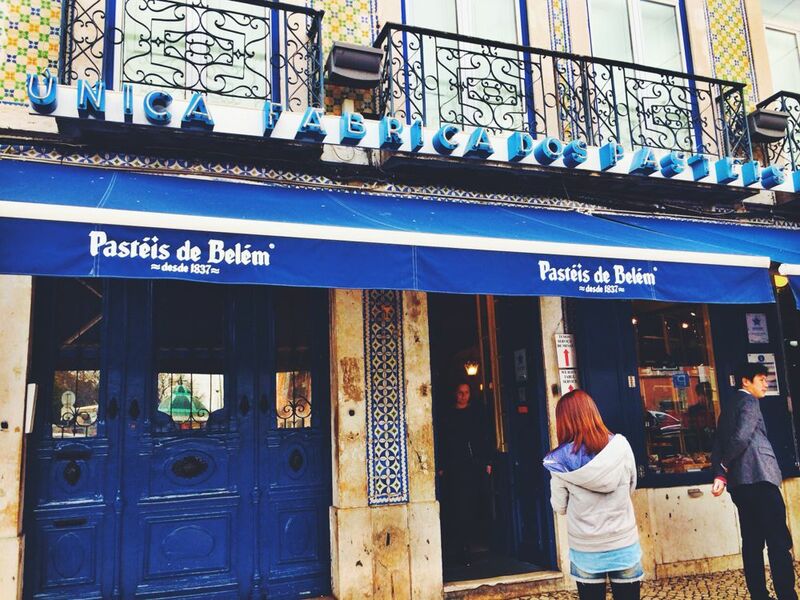 And eating as many pasteis de Belem as possible is definitely a worthwhile priority!